Amsterdam has a long and rich history in sports. 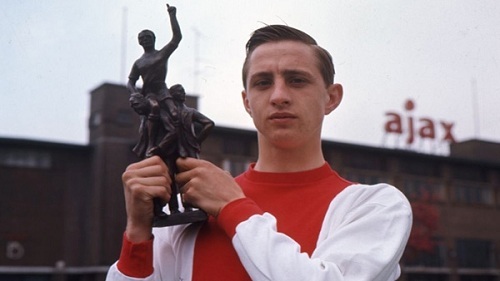 The most famous Dutchman in the world is a sportsman from Amsterdam, football player Johan Cruyff. 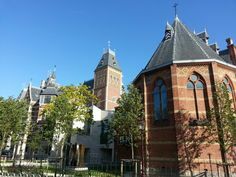 Below you will find information on Amsterdam sports from a tourist and historical perspective. 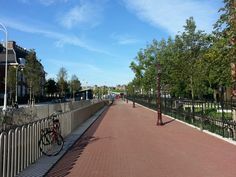 If you are an avid jogger and love to start your day of with a nice run in the morning, Amsterdam has many options. 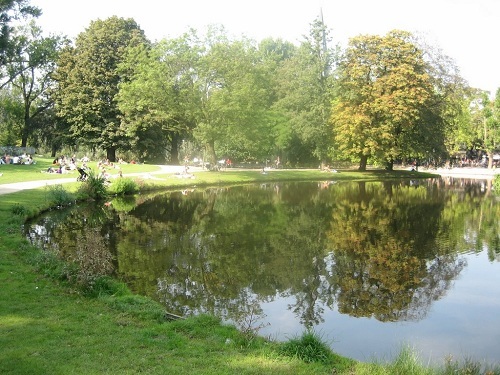 Best option is to go to the Vondelpark, near the Leidse- and Museumplein. 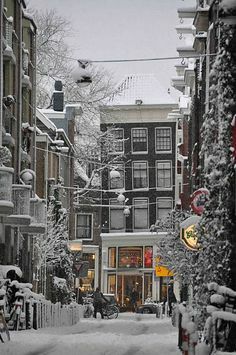 This is where most people from Amsterdam jog and it is somewhat comparable to London’s Hyde park or Central Park in New York. There are many routes to take. The main lap around the whole park is 3.2 km (2 miles). If you are based in the Central Station area you could go for the detour and run around in the Red Light District or along the canal ring. This is not very common (because of the traffic, it’s too crowded), so we would advise you to take the ferry to the Northside (it’s free) and run along the IJ river. The Northside has many parks and green areas which are good for running. 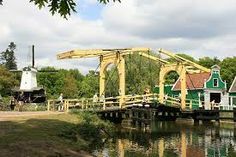 If you’re looking for the more serious stuff you can always try out the Amsterdamse Bos (“Amsterdam Forest”), a massive park bordering the Southside close to the Olympic Stadium. Amsterdam also has an official marathon and this is one of the 22 marathons with a gold certification from IAAF. This large international event usually is held in october and is important for Amsterdam sports culture. Amsterdamsche Football Club Ajax is one of the few football clubs in Europe with more than 3 Champions League titles. The club is best known for its youth academy and the many many top players that were raised there. Ajax consistently supplies the European top teams with their best striker, defender or midfielder. Think about players such as Johan Cruyff, Marco van Basten, Dennis Bergkamp, Edwin van der Sar, Wesley Sneyder and Clarence Seedorf. The club is based in the Amsterdam Arena in Amsterdam’s south-east side. There are guided tours available. It is one of the most prominent stadiums in European football. Also be sure to check out the Ajax Experience at the Rembrandtplein. Amsterdam sports right on one of the busiest nightlife squares in the city! The Olympic Statium is located on the Southwest side of Amsterdam. You go there easily by taking tram 16 or 24 from Central Station. It’s open everyday except Monday between 11:00 and 17:00. Admission is € 6,00 for grown ups and € 5,00 for children. Guided tours are available. 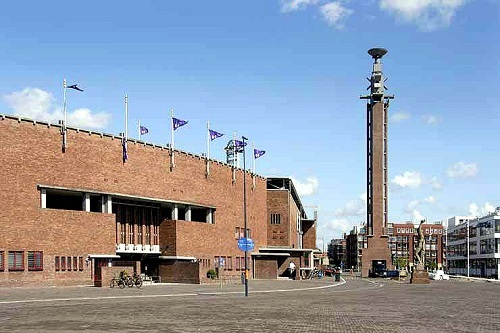 The Olympic Stadium was built for the Olympics of 1928 in Amsterdam. 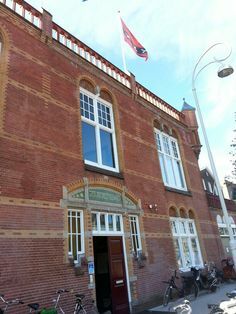 It was also home to the famed football club Ajax, and the departure of the first Tour de France start outside of France. This stadium still facilitates a lot of sporting events and is very important for Amsterdam sports structure. Find the agenda here. The architecture of the Olympisch Stadium Amsterdam was awared several times. 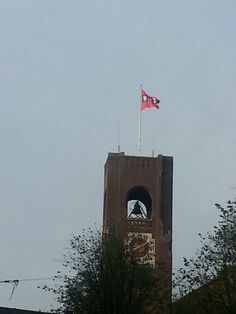 It is a great monument and still a landmark in the city. If you’re looking for a more quiet thing to do, this might be the one. 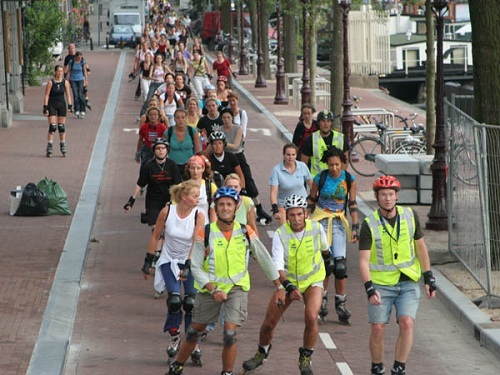 Every Friday night at 20:15 a group of roller bladers leaves from the Filmmuseum in the Vondelpark to do a tour around the city. The groups can be quite large. Do not join the Friday Night Skate if you’re not an experienced skater. You can rent skates in the Vondelpark. The groups skates around the city with designated safety guards holding up the traffic and ensuring a smooth skate without too many stops. It is a very local thing to do, but at the same time a creative way to look around. The route is about 20km long. That means a good work out and a great way to see Amsterdam. More info here.